Everything is going well here in Brighton! 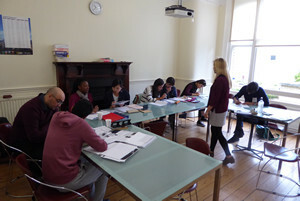 The students are studying hard in their classes and spending time with others from many different countries. This week two of our students had birthdays. As a celebration, everyone enjoyed coffee and cake in the school lounge. On Tuesday evening many joined a trip to the Bowling Alley and three students attended a musical show ("Mama Mia") at the Brighton Centre. 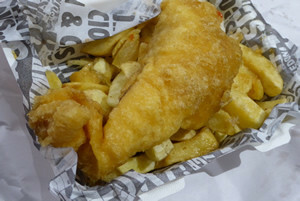 Yesterday afternoon, after the classes had finished, fish and chips were served!